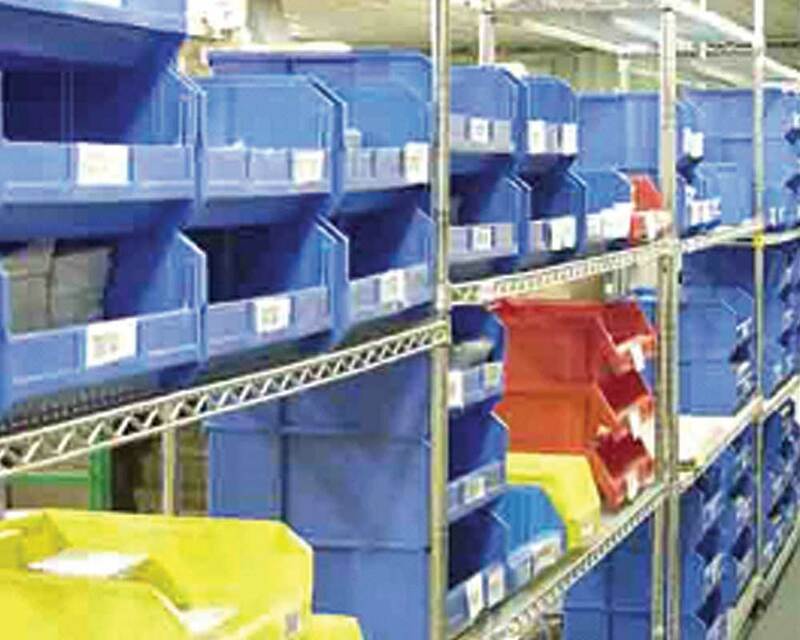 Whether referred to as bin stocking or breadman program, supplier managed inventory (SMI) is a process where the supplier generates orders for the customer based on their demand information. During the process the supplier is guided by mutually agreed upon objectives for inventory levels, fill rates and transaction costs. In this continuous replenishment process the supplier is better able to project and anticipate the amount of product it needs to produce or supply. Companies who take advantage of this service enjoy reduced lead times as DuraTech works off of customer supplied forecasts. Transaction costs are substantially lowered because fewer purchase orders are cut. Production line-down situations are virtually eliminated with this system in place. A more competitive unit price can be established through value-added engineering methods to reduce overall package costs. And the significant time savings in the acquisition process makes this service a truly valuable tool for the procurement specialist. Call us today to find out how we can help you streamline your label purchases. The customer provides a complete list of parts to be quoted. Included in this information is the estimated annual usage (EAU), blue prints of each part, specific material requirements, and current pricing. DuraTech quotes the parts as cost effectively as possible, utilizing value-added engineering methods to reduce overall package costs and minimize risk. A master quote is created with the information in a format that is easily viewed and understood and appended for new parts. Upon acceptance of the master quote and terms in the contract we will produce parts. If bin stocking is desired, DuraTech can work with your current distributor or can make recommendations of a distributor who can fulfill your specific requirements. Physical inventories will be periodically monitored to make any necessary adjustments in inventory levels. This is to prevent any shortages and ensure billing matches usage. On-staff experts review the customer’s forecasts on a regular basis to ensure adequate inventory levels. Invoicing can be set up on a weekly or bi-monthly schedule. Liability for inventory obsolescence and revision level changes are negotiated at the time of contract. Typically a three to six month inventory is produced. One of the benefits of using a supplier who manages the inventory levels is that a customer can potentially lower their per unit costs. Described below is a true example of such a case. Customer “A” purchased Part XYZ ten times in the last year. The quantities ordered ranged from 100 to 4,000 parts. Customer “A” ordered a total of 16,900 pieces during the year at a total cost of $11,661, creating an average per piece price of 69 cents. If Customer “A” had the supplier manage their inventory for these parts, the supplier could have run them more efficiently based on the history of the part. In this case, the supplier could have saved the customer $3,718 that year at a per piece price of 47 cents. Though this is not always the case on an individual basis, by allowing the supplier to review and quote all, or a group of parts, the supplier can look at how they can utilize their internal processes to save the customer money on the whole package. 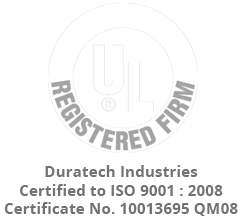 DuraTech has been able to typically save 15% for customers who utilize our supplier managed program. Lower administrative costs can be a significant portion of the benefits of working with a supplier who provides supplier managed inventory. The formula below conservatively illustrates the immediate savings the customer will realize by simply reducing the number of purchasing orders cut. *This estimated number, based on DuraTech’s internal costs. It is the minimal cost of issuing a purchase order, receiving and inspecting product.